Gwyneth is an experienced structural and cranial osteopath with a strong medical and holistic background. This is reflected in her thorough knowledge of the human body, and her multi-faceted approach to improving patients’ health. 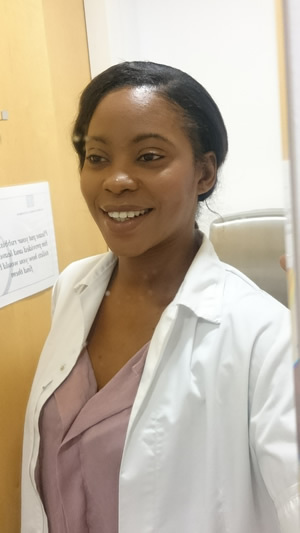 She graduated from the prestigious British School of Osteopathy with Distinction in 2009, having previously undergone a Bachelor of Science (Hons) degree in Biomedical Sciences at King’s College London. Gwyneth has amassed a rich experience base of patients of different socio-economic backgrounds with various musculoskeletal problems, such as arthritis, sciatica or neck pain (plus much more). The combination of structural and cranial techniques means that Gwyneth is also able to manage beyond musculoskeletal problems, for example, headaches, digestive problems, pregnant & post partum women, and treating babies and children. Please return to the homepage to explore the relevant sector in which osteopathy can help you. She has since returned to the British School of Osteopathy as a clinic tutor. This role involves supervising students as they treat patients, advising on their clinical diagnoses, and assisting in a comprehensive overview of anatomy, physiology, neurology whilst navigating through possible complexities of patients’ histories, and any referral to GPs. Outside of osteopathy, Gwyneth has an avid interest in health and fitness. She is a keen tennis player, having captained the women's tennis team at Kings College London. She also enjoys sailing, dance and fitness classes, as well as a much loved hobby of exploring fashion and interior decoration.